All Toys R Us gift cards and rewards credit will lose their value in 30 days. If you have some Toys R Us gift cards or rewards dollars sitting around, it's probably best to go spend them as soon as possible. 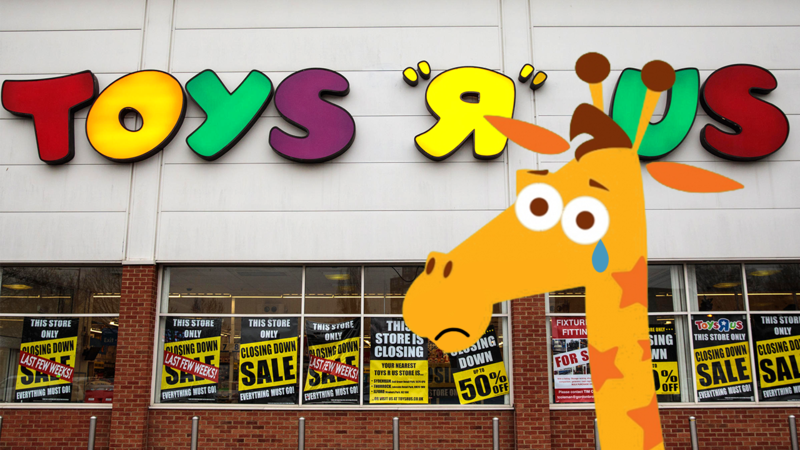 More than 700 Toys R Us stores are set to close or be sold, leaving a huge void in the toys/collectibles retail space, as well as the loss of jobs for tens of thousands of people. Slickdeals users will definitely miss Toys R Us's online component as it's been a wellspring of price mistakes. Just last month, a coupon code erroneously offered 50% off anything in the store. Previous to that, a faulty BOGO deal made up to four additional items completely free -- Xbox One and PlayStation 4 consoles flew off the shelves! Be sure to visit Slickdeals' Toys R Us coupon page to get the most out of your unused gift cards and rewards credit.